Is there anything more frustrating than having your phone die in the middle of an event or during an emergency? As a dog mom that is constantly on the go, I am always fretting about the battery life on my phone, and my husband’s. All it takes is a few good videos and sometimes it seems our phones are close to dead. While this may not be a big deal at home, when we are traveling this could be the difference between us not having a phone during an emergency, or missing that super cute moment when the girls decide to start rubbing noses with a small puppy to say hi. Like any good mom, I try being prepared for everything, which includes having a variety of chargers with me in my backpack or purse for any occasion. Luckily, myCharge has a variety of awesome chargers perfect for just about any situation! How many times have you been out shopping and found that your phone is nearly dead? The Style Power Watercolor Portable Power Charger is a great mix of style and portability by offering a 2200mAh charger that is perfectly sized for small (or larger) purses, for Mom’s daily trips. Along with being a very portable size, it has technology to sense device compatibility and charges devices 33% faster than most other chargers on the market. Best of all, it can hold a charge for up to one year, making it easy for you to always have a charge stored when you need it. As well, it has its own integrated charging cable for when it does need charging, allowing you to easily recharge this cute portable charger quickly from your laptop or USB compatible power source. Currently, the myCharge Style Power Watercolor Portable Power Charger can make sure moms have the power they need for only $19.99. Is there anything more annoying than being on a long trip and having to make the choice between charging a phone or an e-reader (or having a fight break out over who borrows your charger first)? Staying charged for a long flight or other trip has never been easier, with the myCharge RazorUltra 12000mAh portable charger. This anodized aluminum charger has 3.4A shared output and can charge two phones or tablets simultaneously, making trips easier. As well, it can stay charged for up to 1 year and still provide over 90 hours of battery life. It even recharges itself 65% faster than its competition. Currently, this USB charger is ready to join the next family trip for only $59.99. Active family? Want to keep your devices and phone charged during a family hike or camping trip? 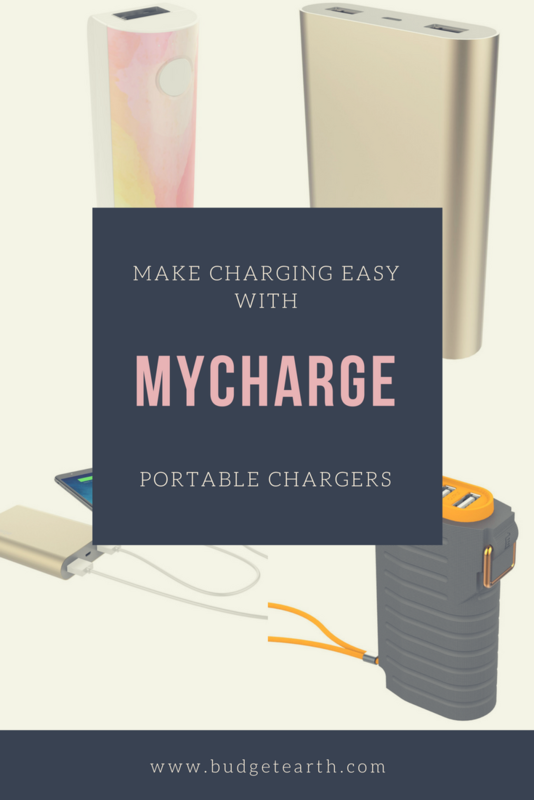 With the myCharge All Terrain+ it is easy to keep just about anything charged without taking up valuable room. This military-grade portable charger is water proof, temperature proof, dirt proof, and even shock proof, designed to withstand the toughest conditions. As well, this charger features 2 built-in USB ports with a 2.4A output. The All Terrain+ is the perfect portable charger for tablets, smartphones or other USB devices when you don’t know what will be going on, but know you’ll want to be able to share and remember it! Currently, the myCharge All Terrain+ is ready to go anywhere for $49.99. Want a portable charger for yourself or someone special in your life? You can find myCharge chargers on the myCharge website or at a retailer near you. Also, any order over $25 offers free shipping, making one or two of their chargers a great gift for Mother’s Day! Want to learn more? Follow myCharge on social media! I definitely need one of these. They really come in handy and are so nice to have, especially as much as I use my phone. I’ve seen wallets with chargers in them too. Cool idea. I’ve been eyeing a portable charger for a while now. This would be so handy to have when we are travelling so that we could all charge our devices easily. Portable chargers are very important! People don’t realize that using a USB to charge in a random outlet leaves you open to hacking if the outlet has been compromised. With long and busy work days it is so easy to run down ones battery. Great to have a gadget like this to keep me powered up. This is something I MUST get for my brother! He never closes his apps, etc, so when he gets home, his phone is down to 4% power! These chargers have a nice slim profile, I see, so it would be easy for him to carry any of them. Super! Thank goodness portable chargers have kept up with phones. I have a handful of first-Gen chargers that might get you through an emergency but not much more. I love that my charge has powerful units that can be used by multiple devices. So many times I have been caught with a dead phone. It is especially frustrating when you really need to make a call. I would love to have one to keep in my purse. The MyCharge Portable Chargers look really nice, especially the Purse Size Portable Chargers. It’s bad to be out & about on errands and have your phone go dead. This way it’s an easy recharge & you don’t miss any important calls. Definitely something everyone needs to have. I love these each one would be great to have. Many times I have had to stop using my phone because it’s gotten to only having 10%. Chargers are the best thing that ever came out. Older phones sometimes just don’t hold that charge. Once I had to charge my phone standing in the ladies room at the airport. Then I had to charge it again before I got on the plane. Wow! Purse sized! I love it. I have, more than once, been caught somewhere (like a sporting event) with a dead phone. This is great. Our family of 5 is starting to travel more often, which means bringing plenty of electronics along, and keeping them charged is always an issue. Any model that charges multiple devices would be perfect for us! I’m entering the MyCharge Giveaway. I would like to wish good luck to all who enter! These sound so handy. It seems like my cell phone always runs out of power at the most inconvenient times. This is so cool. I really could use this, I’m always having to rush to charge my devices. This looks like a great portable charger! I love that it has 2 ports! My battery is always dying! These would be such a blessing to have! We all need a MyCharge charger. They look to be so handy. We really need good chargers that will last and do their job. I would love to own the myCharge All Terrain+ since it can charge just about anything, I love that its tough and can withstand alot of abuse it seems heavyduty. This would be great since I’m forever forgetting to charge out phones. Lol, I was just saying we need more chargers or something that will charge everyone stuff, having kids and grandkids, it’s always a challenge when we all go somewhere because everyone has some sort of electronic device!!!! Wow, I need one of these badly! My phone is a little old, and doesn’t hold it’s charge for very long. This is a great idea, and it being small enough to fit in my purse is an added plus! i need to invest in a power bank charger. I have 3 cell phones, and i am always on the run , as i have many appoints with many people, in many places, and sometimes you just can not slow down , and there for on many occasions,at least one or two phones will be off. I could use a new charger that will charge my phone fast. Oh my gosh….I so need this for my husband and my son. I can NEVER reach them because their phones are ALWAYS dead! Very annoying. I love the purse-sized charger. It’s pretty and doesn’t look as heavy as the one I’m carrying now. I am forever finding myself on the go and with a phone that need to charge. Just last night as a metter of fact my phone was only at a 23% charge and had to leave the house. It was dead before I got home. So if there was an emergency or someone just needed to get a hold of me? that wasn’t going to happen and my 8 year old was not with me. 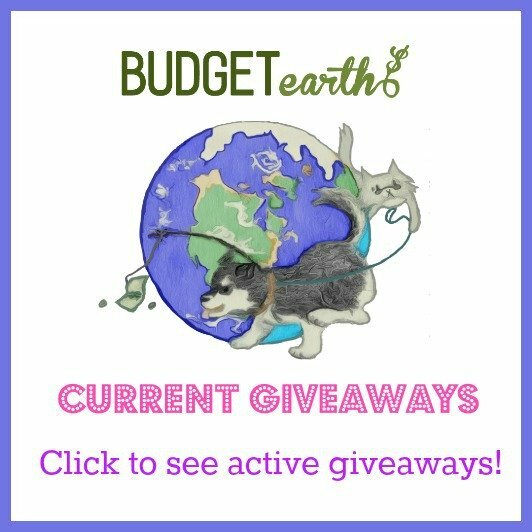 This giveaway would be awesome to win. Would eleviate my woes for sure. Plus, my 14 year old wouldn’t have any more excuses about a dead phone either. Great review! Each one of these are great for different situations. I love the myCharge RazorUltra 12000mAh portable charger I like that you can charge multiple devices at once! I think hubby would love the all terrain one while he’s out at work or when we go hiking it would come in handy! I love how it fits in a purse and how stylish it can be. I always hate being out and having my phone go dead so this sounds like what I need. I definitely need one of these. They really come in handy and are so nice to have, especially as much as I use my phone. I love it that they come is purse sizes. I really need to get one of these. My phone always dies when I am not home. Would be perfect. This would be so handy when I am out and about especially when I am at the flea market selling. It really would be nice to charge more than one device at a time. Carrying several chargers at a time can get cumbersome when traveling. This is in great time for the vacation season. I LOVE the looks (and features) of the All Terrain. We take camping trips often, and even though we travel in our RV, we dry camp and don’t want the generator on all the time. A battery pack makes a huge difference! These are definitely a necessity in today’s world. I need a few. This is a must have for my business travels out of state. Thank you for an awesome review! My phone is a battery hog. This would be nice to have.